I thought I would try something a little different! 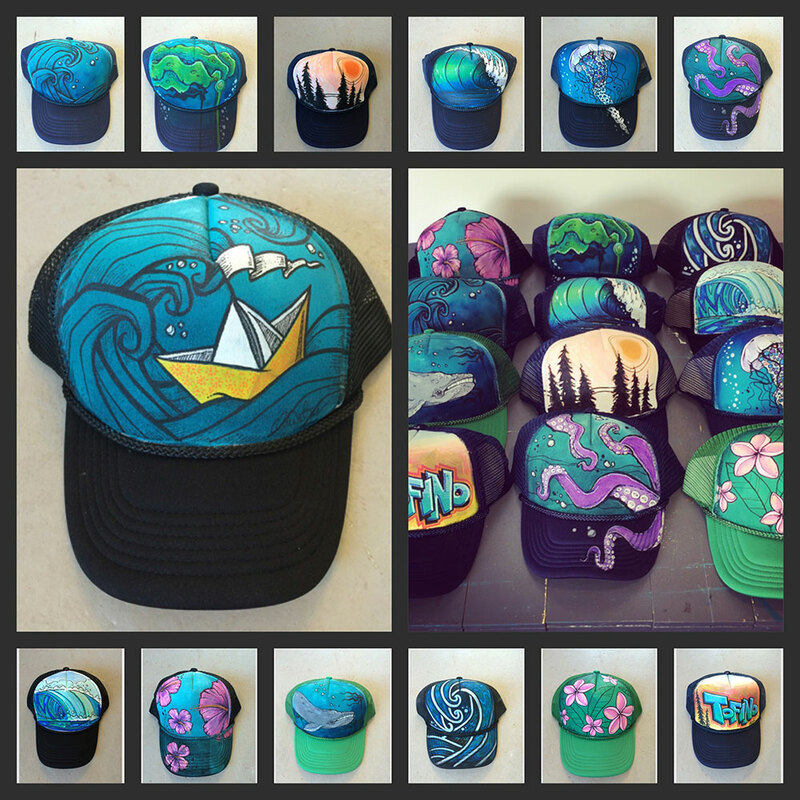 These one of a kind handprinted trucker hats were created for the Make Merry Market at the Tofino Botanical Gardens in Tofino. At $45 each they sold out fast, but stay tuned as I will be creating more for the Tofino Saturday Market!